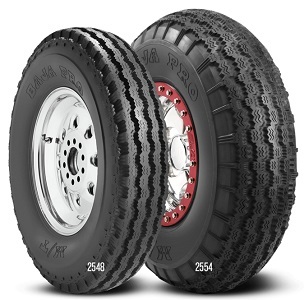 All-Season Passenger Light Truck tire Built for Highway and Light Off-Road Use. 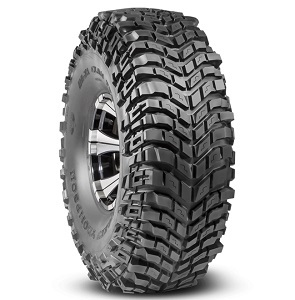 All terrain traction for the grip you need on your weekend adventures, with the smooth ride you want to get you down the road in comfort. 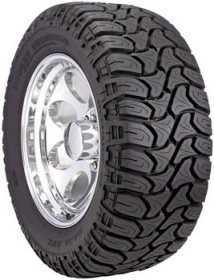 Passenger Light Truck/SUV tire. Polyester/Fiberglass Belted. Outline White Letters. 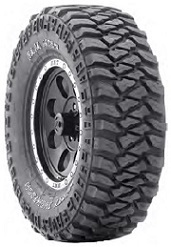 Extreme Mud-Terrain tire Suitable for Driving Conditions including Rock Crawling, Mud, Snow, Sand, Dirt, and Gravel. 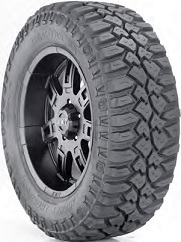 Extra Large Sidebiters® and a Cut Resistant Sidewall make this the Toughest tire for any Modified Truck or SUV. 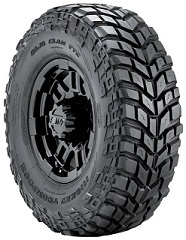 The new 54-inch Baja Claw TTC is an ultra aggressive off-road performance tire with an advanced bias belted construction specially designed for rugged off-road use including rock crawling, mud, snow, sand, dirt and gravel. 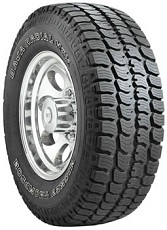 Radial Light Truck Extreme Traction tire for Rugged Off-Road Performance. 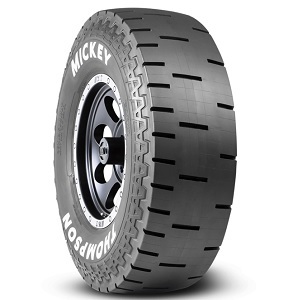 Mickey Thompson has a variety of specialty off-road tires in unique sizes to fit many off-road racing applications. 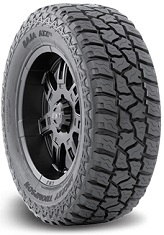 Each tire features bias belted construction for superior strength and impact resistance, these tires are built to handle the toughest off-road conditions on the planet. 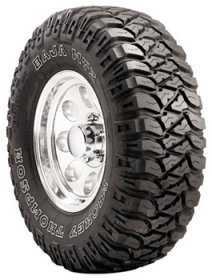 The Baja Pro tire is for short course off-road racing only. 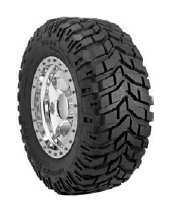 It comes in a variety of compounds to combat wet, dry, soft, and extreme hard dirt conditions. 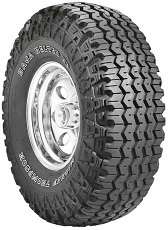 All-Season Radial All Terrain Light Truck tire Suitable for Most On/Off-Road Applications. 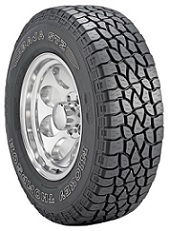 All-Season Light Truck tire with Aggressive Tread Design Suitable for Commercial, Play or Sports Applications. World's Fastest D.O.T. 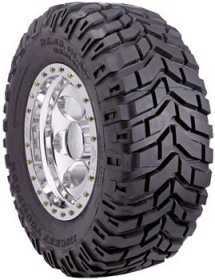 Class Bias Race tire. Same great features as our race winning ET Drag with a D.O.T. 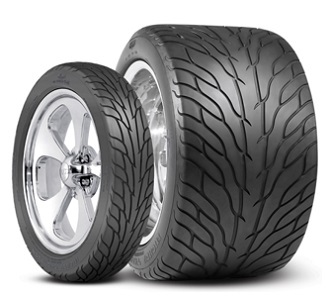 stamp that meets the rulebook specifications for street tire classes. D.O.T. 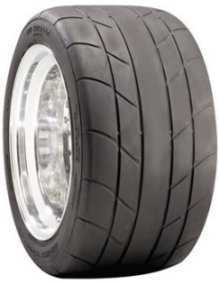 Approved Street Legal Drag Radial tire. 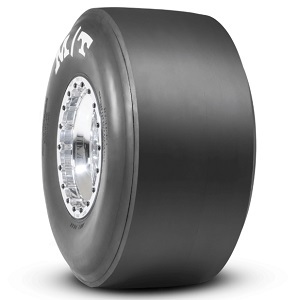 Bias Racing Slick Suitable for Nearly every Drag Race Application. 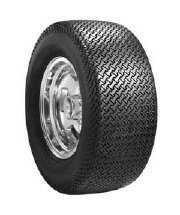 Complete line of front tires with applications for cars, dragsters, and land speed racers. 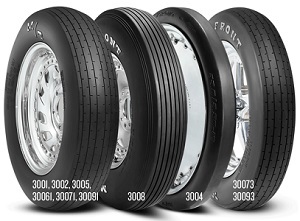 Compliments the ET Drag® drive tires for a complete race tire package. 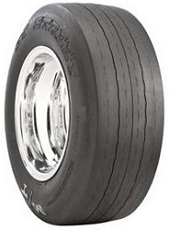 Junior Drag Racing Slick Bias tire. 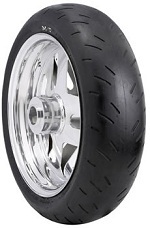 Bias Motorcycle Drag Racing tire. 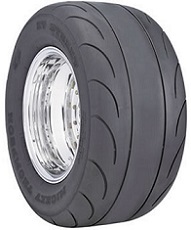 These aren't your everyday motorcycle tires. 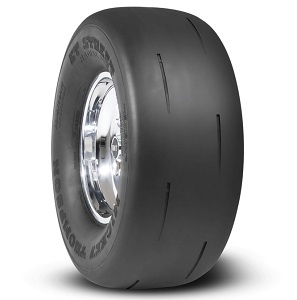 With amazingly sticky compound and radial desing it is the tire of choice in street bike racing. 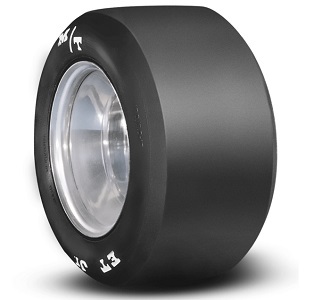 Specifically designed for modern performance cars including sport compacts, Mustangs, Corvettes, Vipers and others that require bigger wheel diameters for brake clearance. 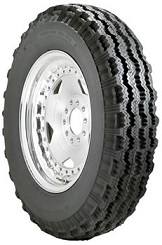 Purpose Built Radial Race tire for Classes Requiring a P275/60R15 (Material # 90000001536) or P315/60R15 (Material # 90000024662) size tires. Specially designed for desert and short course racing. 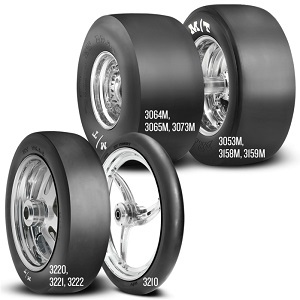 Widest high performance street legal tire for Hot Rods, T-Buckets, and Muscle Cars that have shortened rear ends and tubbed fender wells. 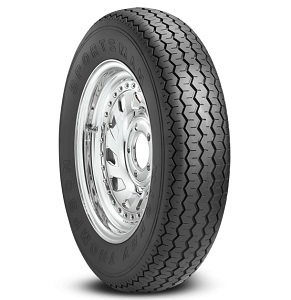 Bias Ply Narrow Front Street-Legal tire that Compliments the Sportsman™ and Sportsman Pro® tire lines. 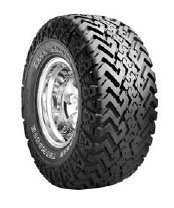 Available in 8-ply for Heavier Load Carrying Capacity on Trucks and Heavy Muscle Cars. 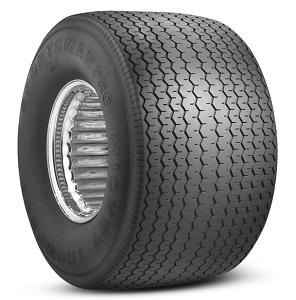 Bias tire with a Street tire Tread and a Drag tire Compound for Serious Street and Vintage Car Racers. Air them down for Powerful Wrinkle Wall Style Launches. 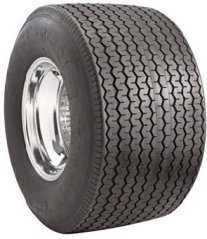 Passenger Car tire, a Must for any Street Rod or Street Machine Builder. 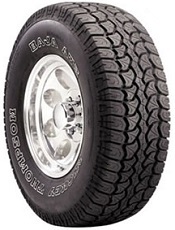 Modern Day Version of M/T's Classic Sportsman tire. 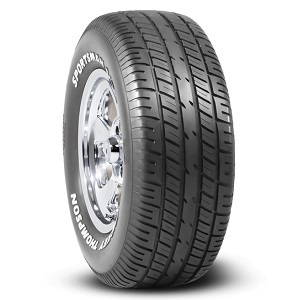 All-Season Passenger Car tire Designed for Muscle Car owners demanding Performance, Quality and Styling. 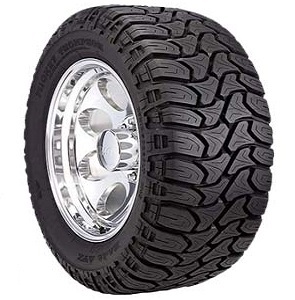 Raised White Letters or Black Sidewall out this All Season Performance tire will give your Muscle Car a wide low profile look along with the great handling and performance that your car deserves. 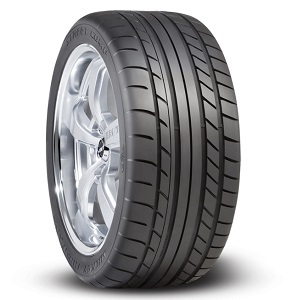 Ultra High Performance Passenger Car tire which will Improve the Look of your Muscle Car.